Jay Jays Beach Kiosk on Gorleston-on-Sea beach near Great Yarmouth serves snack food and light refreshments from a great location just next to Gorleston beach. Follow signs for Gorleston-on-Sea and the quay, follow the quay road round. 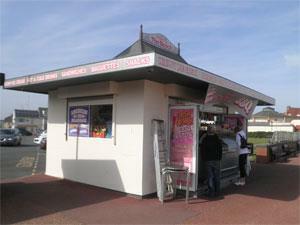 Jay Jays beach kiosk is located on the seafront opposite Ocean Bay Amusements.